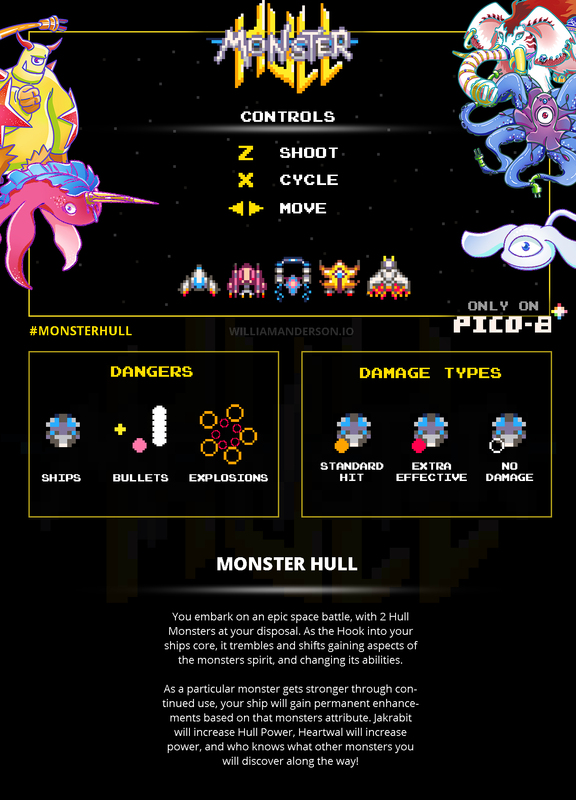 You embark on an epic space battle, with 2 Hull Monsters at your disposal. 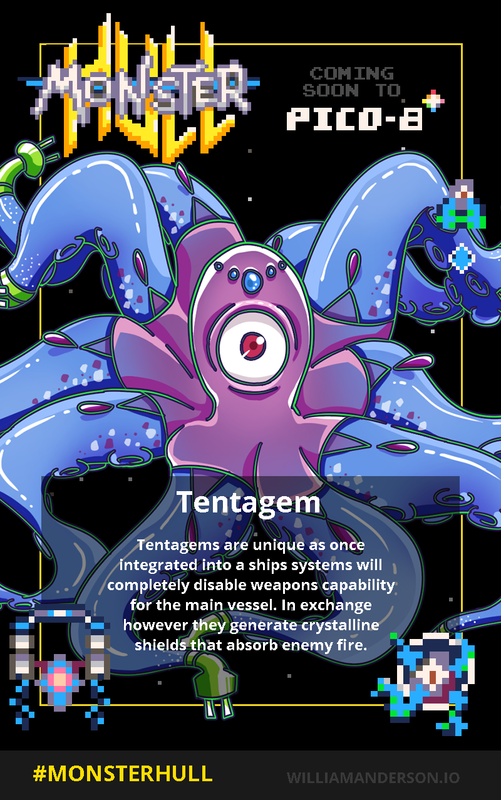 As the Hook into your ships core, it trembles and shifts gaining aspects of the monsters spirit, and changing its abilities. 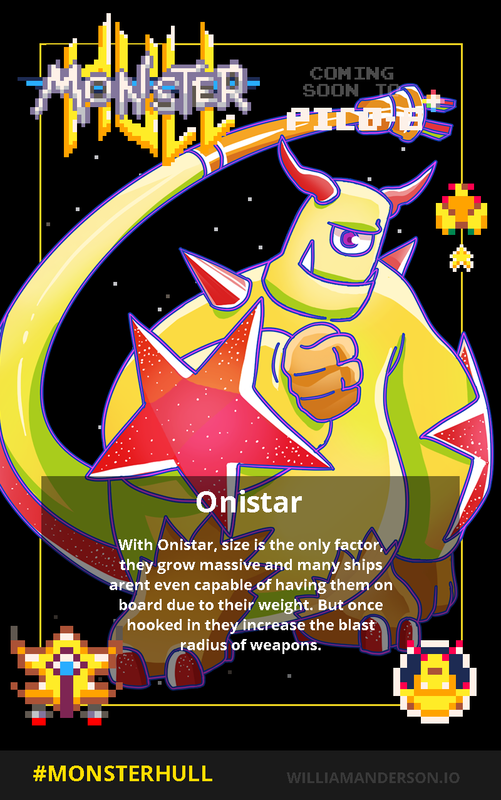 As a particular monster gets stronger through continued use, your ship will gain permanent enhancements based on that monsters attribute. 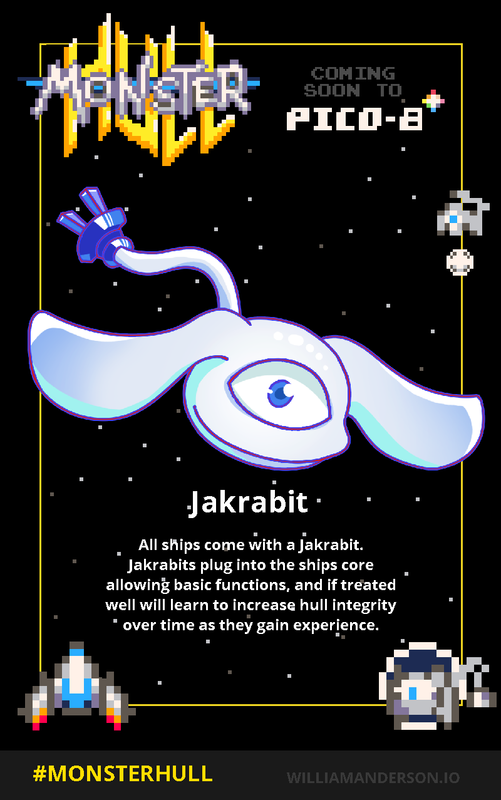 Jakrabit will increase Hull Power, Heartwal will increase power, and who knows what other monsters you will discover along the way! Holy damn is this done?! Been watching it on Twitter for a while...stoked to give this a run through tonight. Such a cool concept! 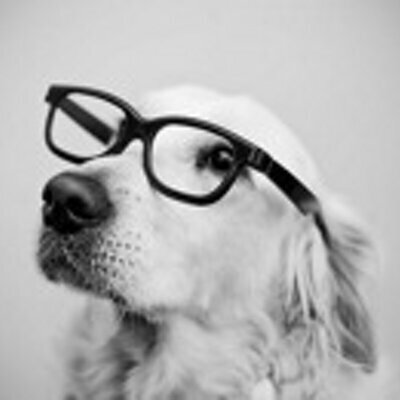 Totally cool. Bummed me out that when any of your ships dies it's game over rather than just losing that ship...but I guess if some enemies are immune that makes some sense. 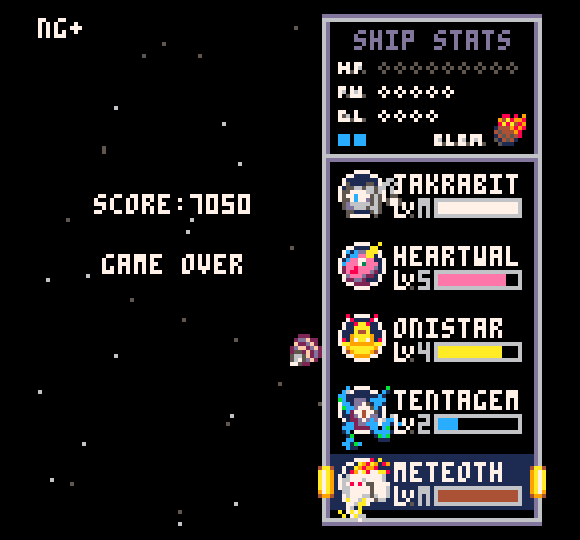 Have only caught up to Onistar so far but such a cool Pokemon-shmup type thing. Awesome job on all the supplemental art too, nailed the card vibe. 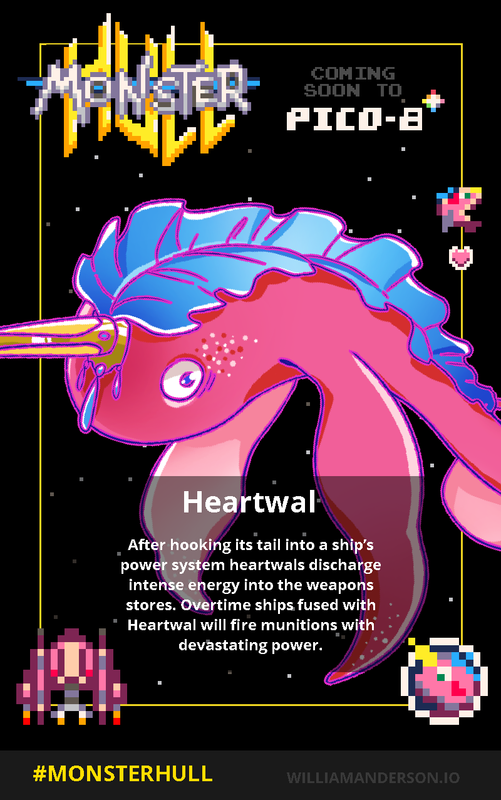 And this is one game that really makes me want my PocketCHIP! Thanks so much for an awesome review! A lot of work and love went into this! Glad you are enjoying it! But when I died the score felt wrong. I had died many times before a lot sooner as my score was in the 5-digit territory...unless scoring gets weird somewhere along the way. But I don't really feel this is a score game, more just can you get to the end (assuming there is one). 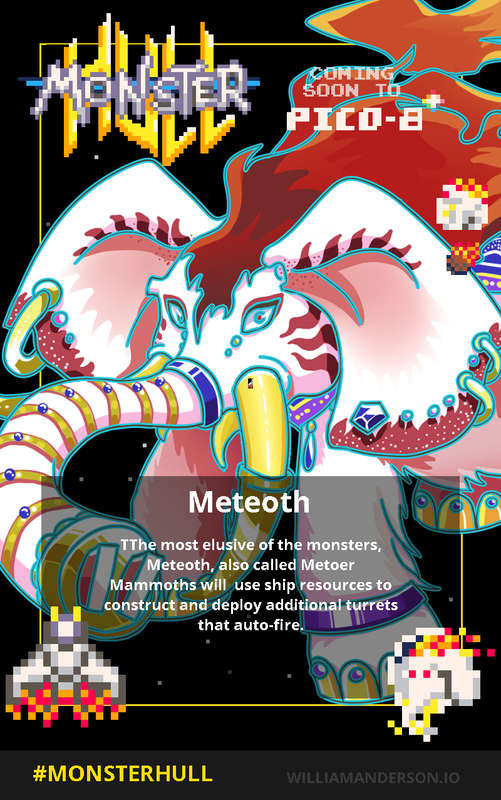 And that last monster with the turret upgrade is boss! This is great, love the ability to change ships. You've got a great concept with the multiple ships/monsters with different strengths. 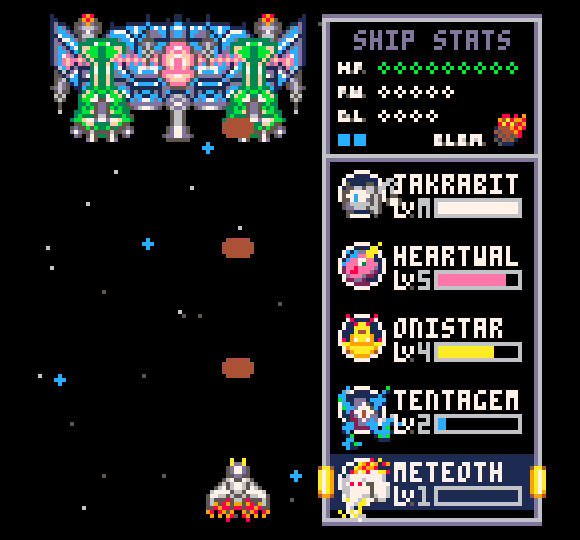 I like how you have to strategize about which ship you'll use given the particular enemies you're facing. I'll be enjoying this for quite some time, and then I'll be peeking into the code to see what I can learn! 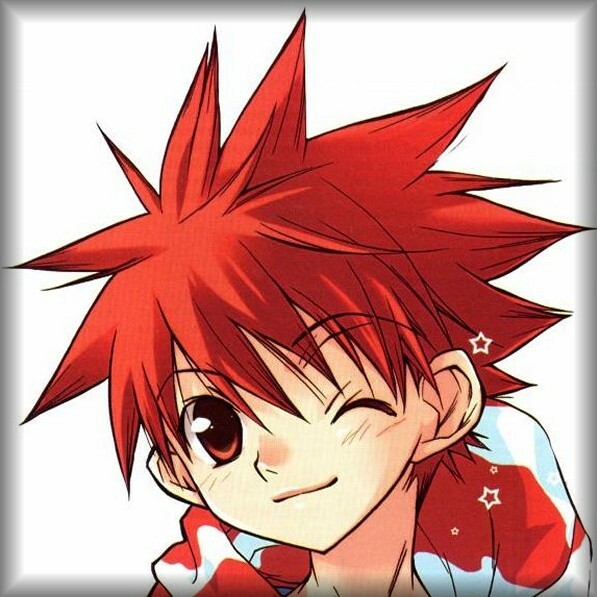 Thanks for the compliments! 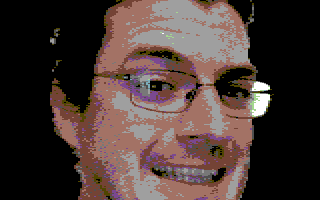 Was a great pleasure to work with William on the game and a wonderful introduction to the Pico-8 community. How many minutes is it suppose to take to kill this first boss? I can't do it. It's taking so long I wonder if it's a glitch. Jeez. EDIT: I got it with Jakrabit. I should have tried the game more than three times I guess? Yeah, a mention/example of shot immunity would have saved me some frustration. edit: extra tip - at game over it's fastest to hit escape and reset the cart. Now that you mention it, the idea of "shot immunity" could be conveyed better if it were first demonstrated on a weak enemy. I thought I was just whittling down the boss's health, when in fact i wasn't damaging it. If the first enemies with an immunity were the small enemies I would have noticed right away that my weapon matters. Sorry for the confusion on that, Im sure it couldve been made more clear in gameplay, but I am glad you are enjoying it. For now, I have updated the gameplay/instructions card to show what dangers to avoid and to show that there are different effects for hits (normal, extra damage, and no damage). This means a lot! Thank you for taking the time to play, and I'm glad you enjoyed it enough to make the video! While not always pico-8 and varying widely, you can see more of my projects and games as they come out at williamanderson.io the newest of which is Stegosaurs, a clicker game. Soon I will be releasing an action-adventure/match-3 game for TIC-80 as well! Got up to 540 points. Phew ! That's a bit. Please consider changing from BTNP(4) to BTN(4). If you hold only the fire button it works. If you move, you stop firing despite holding down the button. If you want a stagger shot, consider %8 or %4.